VisitBlanes.com — In December 2008 an unusually strong storm left a trail of destruction all along the Costa Brava. The port of Blanes, with its main seawall already crumbling from old age, was one of the hardest hit. 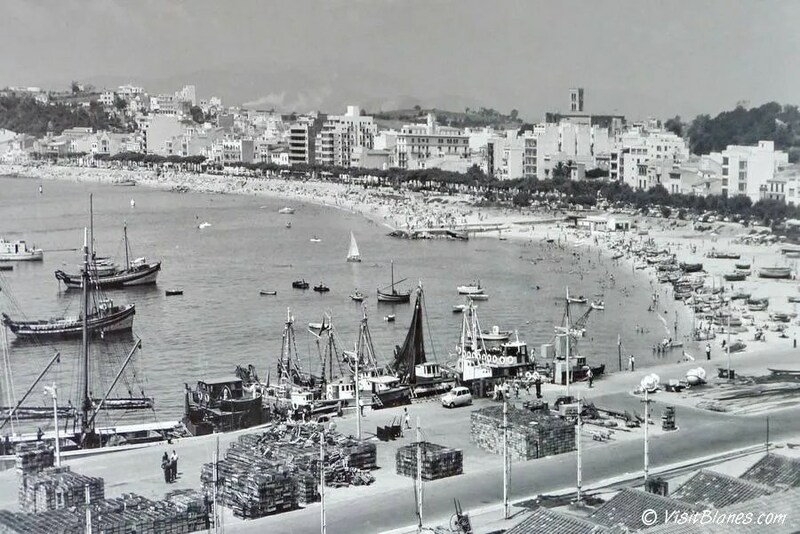 Pleasure boats, fishing vessels and tourist ferries were damaged and many smashed to pieces on Platja de Blanes, the beach between the harbor and the rocky promontory of La Palomera. Local politicians and city authorities had for years said that the port, which was in bad disrepair, needed to be upgraded and expanded. However, the project — with a budget of € 22 million — was stranded in the offices of the Ministry of the Environment. 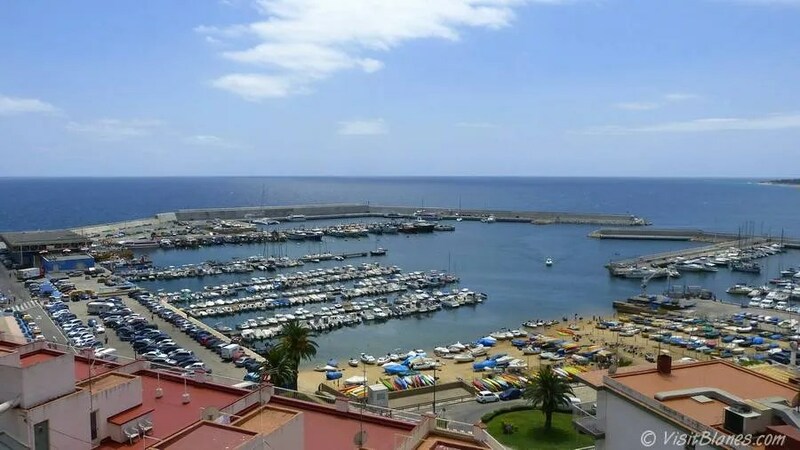 One of the challenges of the project was that construction would not be allowed to damage or negatively affect any part of the coast line of Punta de Santa Ana, the series of small coves and rocky islands just North of the harbor. Then the storm came — on Boxing Day, 2008. Locals later said it was the worst Blanes had seen since the 1950s. This was filmed from the boulevard along Platja de Blanes, the beach that fronts the old part of town. The lights in the distance are those along the harbor. And you’ll recognize two of the tourist ferry boats that normally shelter in the harbor overnight, now tossed onto the beach, with one of them breaking up. We’ve got more videos of the storm and its aftermath over here. While many boats stranded that night, needless to say the storm managed to dislodge the budget deliberations, and in January 2010 a public company was awarded the harbor expansion project. The city of Blanes plans to actively promote what it views as an extension of its promenade. Concession stands will eventually dot the walkway along the seawall and there is talk about construction of an extra restaurant or two. The videos are provided by Blanesaldia.com — a website that provides news in Catalan about Blanes, Calella, Malgrat, Pineda, Santa Susanna, Palafolls and Tordera. I understand why they had to expand and upgrade the harbor but in the process it seems to have a lots a bit of its charm. Looks like they went for practicality and didn’t care how it looks. I always enjoyed walking along the top of wall, watching the fishing boats come in and unload their catch. I hope that is still possible in this new situation. I know what you mean. They definitely chose for function over form. Part of the reason is that the bulk of the money was provided by the Spain’s Central Government in Madrid instead of by Catalonia’s autonomous government. That kind of money comes with strings attached, and I bet that aesthetics were not of primary concern.